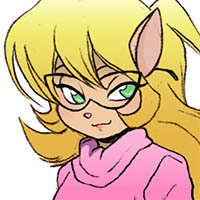 Re: Does the show really need Dark Kat? marklungo wrote: • And what about that action figure where he was a cyborg? Is that canon? Should it be? Perhaps it was a decoy. A mechanical replica of Dark Kat designed to throw the heroes off his trail, similar to Mr. X from the Streets of Rage games. "Sorry Swat Kats, but our villain is in another castle!" Maybe Dark Kat could be everything. A former judge, crime kingpin, robot, extradimensional alien, and he could turn to stone when the sun is out! Hey, I have a cool idea for his creeplings. In a possible homage to the movie "300," have a whole bunch of them pull him around in a chariot. Then when he dismounts, he could squish a bunch of them. Mikazo wrote: Maybe Dark Kat could be everything. A former judge, crime kingpin, robot, extradimensional alien, and he could turn to stone when the sun is out! Egads, you're right! He's the ultimate villain! Mikazo wrote: Hey, I have a cool idea for his creeplings. In a possible homage to the movie "300," have a whole bunch of them pull him around in a chariot. Then when he dismounts, he could squish a bunch of them. Could they do such a thing...? Yeah, they picked up that technician in what must've been a pretty heavy radiation suit, but to pull both Dark Kat (who is bigger than the average kat) and a big chariot? I do, however, like the notion of Dark Kat on a small flying vehicle. Isn't he on a floating disc or platform thing in the SNES game? Why not give him a kind of flying throne/chariot thing like Serpentor in G.I. Joe? Kooshmeister wrote: Could they do such a thing...? Yeah, they picked up that technician in what must've been a pretty heavy radiation suit, but to pull both Dark Kat (who is bigger than the average kat) and a big chariot? I do, however, like the notion of Dark Kat on a small flying vehicle. Isn't he on a floating disc or platform thing in the SNES game? 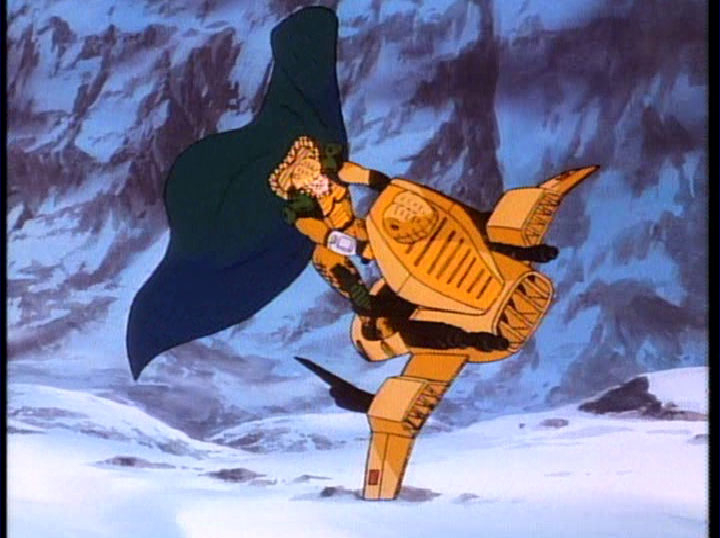 Why not give him a kind of flying throne/chariot thing like Serpentor in G.I. Joe? He could do the chariot thing just on principle - sure he has all kinds of advanced technology, anti-gravity, and so on, but he *prefers* an old-fashioned chariot because of what it represents, its aesthetics, and the possibility that he is mean and sadistic and likes tormenting his underlings like that. Okay, more seriously though - if they're going to keep the ninjakats, they *need* good martial arts scenes. 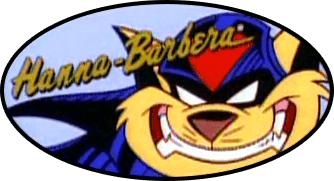 I want to see the Swat Kats' martial arts prowess versus two of Dark Kat's top henchman. The show is in dire need of a scene or two like that. Imagine getting some professional fight choreographers to design something like this. I'm not an expert on fighting styles, but given T-Bone's larger size, I wonder if he would be more likely to use some kind of grappling or wrestling style where he grabs his enemies and throws them around a lot. Regarding Dark Kat, I always gathered he was basically Satan (which by definition means "adversary") or at least, someone who sold their soul. When people are evil for the sake of evil, it means they're submitted to and controlled by a higher principality of evil in exchange for power. I mean just LOOK at him; purple with a skull face and little demon monsters around him. I would LOVE if he had a deceptive side to him, like transforms from a straight-laced yet imposing judge by day to a possessed maniac by night. I think there are two kinds of evil. Evil that people conjure up by themselves and then evil that is inspired by a greater force behind the curtains. The former are the practical villains that are just in it for the money and pleasure. The latter are those who hate everything including the Man Upstairs^ and will get back at said Man Upstairs by sabotaging the lives of others for the sheer joy of revenge, like a kamikaze pilot. They will use deception, make poisonous things as attractive as possible just to get you to bite then laugh as you go down in flames. They will use small deceptions to creating entire systems that are deeply entrenched in societies. If DK is a judge that means he can present himself as an "angel of light" by day but pull back the curtain and watch out! I think DK is a great candidate for this dualistic dynamic in terms of character design and the bit we get of his goals. Would they dare to touch on such evil because I don't think it gets more ultimate than selling one's soul. Like others here have stated, he just needs to be streamlined. I like that analogy. Coming up with a fighting style for them would be interesting. Audiences tend to like really elaborately choreographed fight scenes like in the Matrix or Crouching Tiger Hidden Dragon. However I think that something simple and efficient might be more fitting, given that the Swat Kats are basically ex-paramilitary - they likely would have learned something designed to end a fight in a split second. Something similar to what Jason Bourne used might be appropriate. I could envision fights lasting just a second or two (or even less) per bad guy. However - they have claws. Are they more likely to punch than use them? Do you incorporate some kind of clawing techniques into what they do? Here's a random thought... I dunno why after all this time, but it just occurred to me we only call them ninjas (especially on the Encyclopedia) for lack of anything else to call them. What I mean is, other than the vaguely "oriental" music that plays in that scene, there's really nothing to suggest they're nothing more than basic goons. Yeah, one of them throws the security guard, but that isn't inherently "martial artsy." So... are they actually ninjas or any kind of martial artists, or are they just guys in tactical gear? I'd love to see the script and/or model sheets to see what their canon name is.